A powered foot and ankle can normalize gait, offer flexible ankle movement, and center alignment. 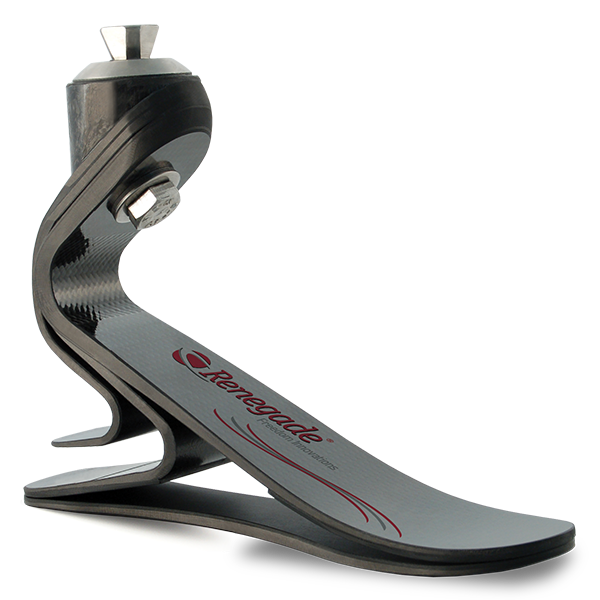 The device mimics the function of a natural ankle through sensors that calculate how much power is needed. It includes preferred walking velocities and has biomechanical patterns that are similar to people without an amputation. Note that this device is generally used by K3 or K4 level patients. 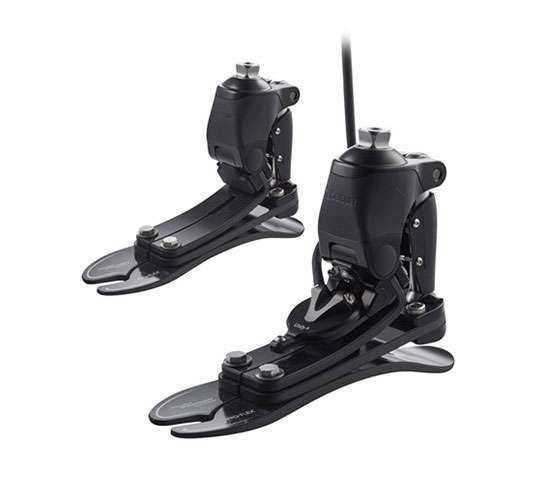 This foot and ankle system has microprocessor-controlled speed and terrain, response. It offers a comfortable and safe natural gait by continuously monitoring environmental feedback. This device is typically for K3 level patients. 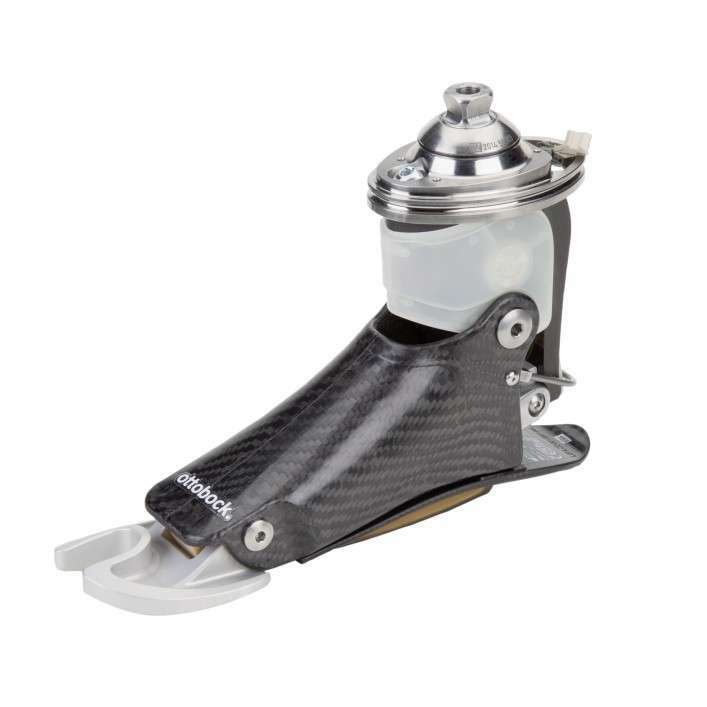 Hydraulics and carbon fiber technology come together to create the hydraulic ankle. 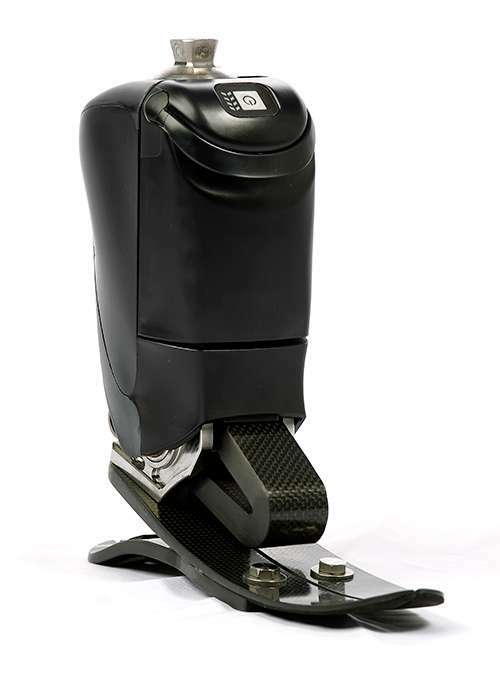 This prosthetic device provides low to moderate impact for increased ground contact, symmetrical gait, improved stability on varied terrain and the comfort of shock absorption. This device is typically best for K3 level patients. The vertical shock prosthetic is a multiple spring design that creates natural movement, a higher range of motion, and a smooth transition. The spring technology is integrated throughout the foot to absorb and return energy. This prosthetic is ideal for patients who live a moderate to highly active lifestyle, and those with a K3 or K4 level need. A dynamic response foot/ankle prosthetic provides fluid, natural walking motion that puts less strain on the lower back. These designs use a stiff anterior keel and offer prolonged flat foot stability. 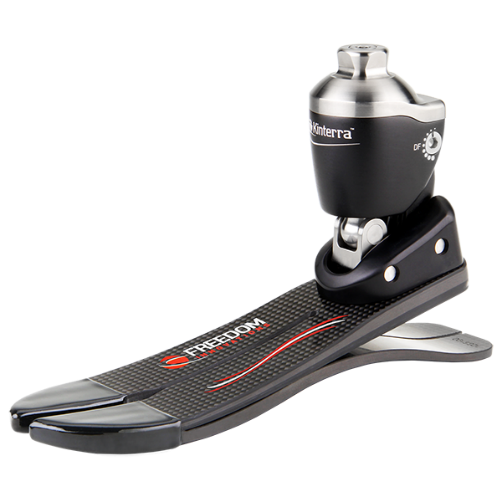 This is a high-performance active foot and is used for a number of activity levels from extreme sports to daily activities. The technology stores kinetic energy and uses an innovative spring system to provide shock absorption and stability. This device is typically best for K3 and K4 level patients. This foot/ankle prosthetic is a low-activity model that works on a single axis of the foot/ankle mechanism. It mimics median plane motion and has a lightweight, strong design.